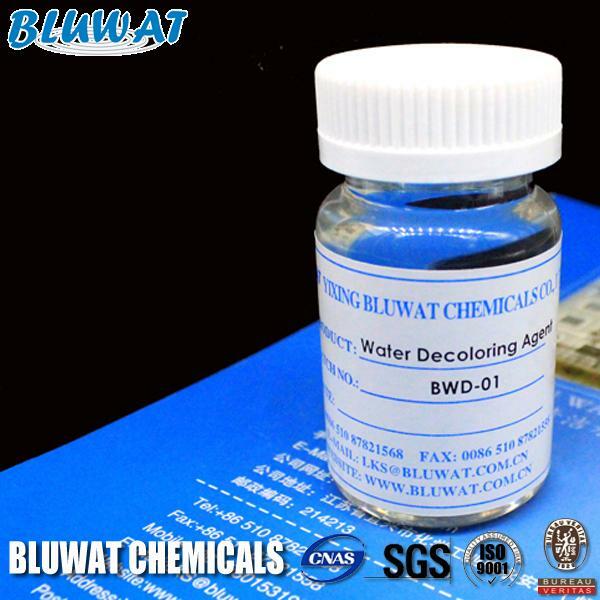 BWD-01 Water Decoloring Agent is a special coagulant of high performance treating dyeing wastewater containing the hydrophilic dyes (reactive dyes, acid dyes, disperse dyes etc. ), less dosage, the color clear, fast speed, high processing liquid clarification of the settlement, but also reduce the composition of COD. 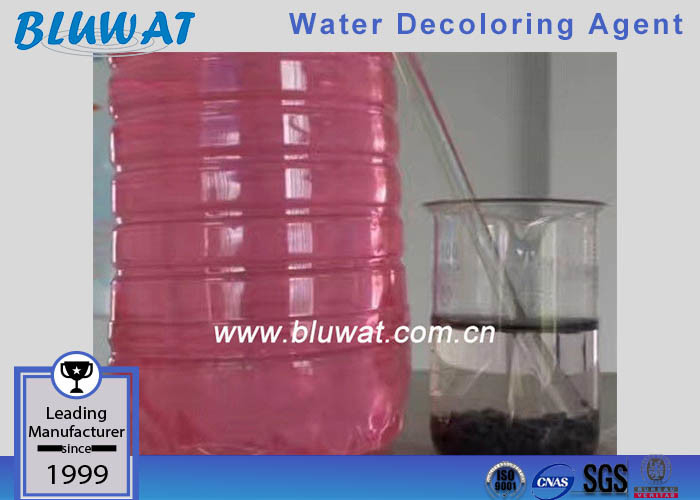 It is a new type of high efficient decolorizing flocculant, published in 90's, and developed with more than 10 years, with very good stability.It is a color removal chemical, special product for de-coloring, flocculating, CODcr decreasing and other applications, used to remove color of waste water generated by textiles process houses and dyes industries and other fields. Used for color removal treatment for high-colority effluent from textile dyeing & printing mills, dyestuffs & pigment mills, ink & paper making mills. 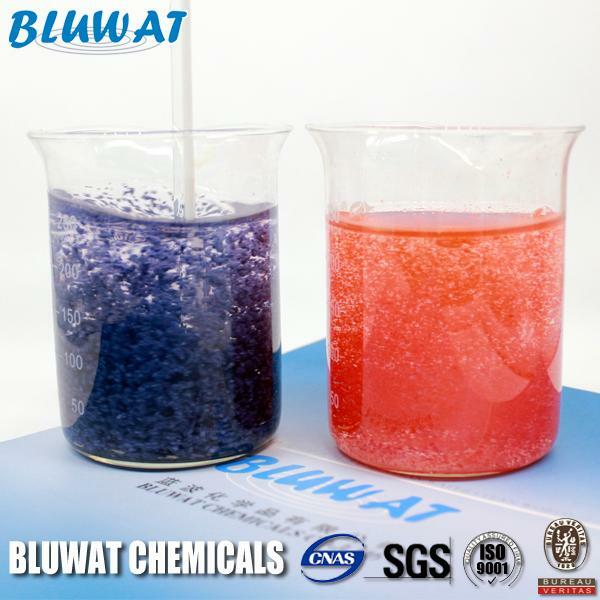 Perfectly suitable to treat waste water with Reactive dye, Acid dye, Disperse dye, Direct dye, Sulphur dye, Vat dye etc..
Also can be used in the production process of paper & pulp as retention agent. It has very strong decolorization (50%~99%) and removal of COD (50%~80%) for different dye effluent. Packed in 30kg, 250kgs, 1250kgs net drums, or others according to the requirements of clients.